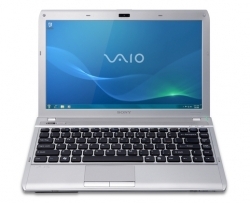 Do you have problems with your Sony VPCY1 series laptop? Then utilizing Creative IT's Sony VPCY1 series repair will be a perfect way to make sure that your laptop is fixed right the first time. Sony laptop repair is a perceptive process that must be taken care with extreme care to protect the delicate parts fitted within the laptop. You can be assured that your laptop is in safe hands when you hand over your out of order laptop to us, as we employ the most proficient engineers as well as knowledgeable laptop repair technicians. Whether it is a simple power supply issue or video card problem or dealing with the removal of a malicious virus or adware, we can do it all, with a group of highly dedicated engineers and technicians who are knowledgeable in almost all aspects that range from hardware to software issues. We at Creative IT know that awareness is the best security against frustrating potential threats to your mobile computing system. Hence, we also keep you updated on the procedures we undertake to diagnose as well as fix your Sony laptop. Apart from these, we can also help if you are looking for a peripheral or upgrade option for your VPCY11M1E/S, VPCY11M1R/S, VPCY11S1E/S and VPCY11V9E/S Sony laptop model. To know more about our after hours, same day, and next day London Sony VPCY1 series repair services, give us a call on 020 7237 6805 and we ensure that your Sony laptop will function appropriately with minimal investment of cost and time. We are available Monday through Saturday from 09:00 to 18:00 hrs.